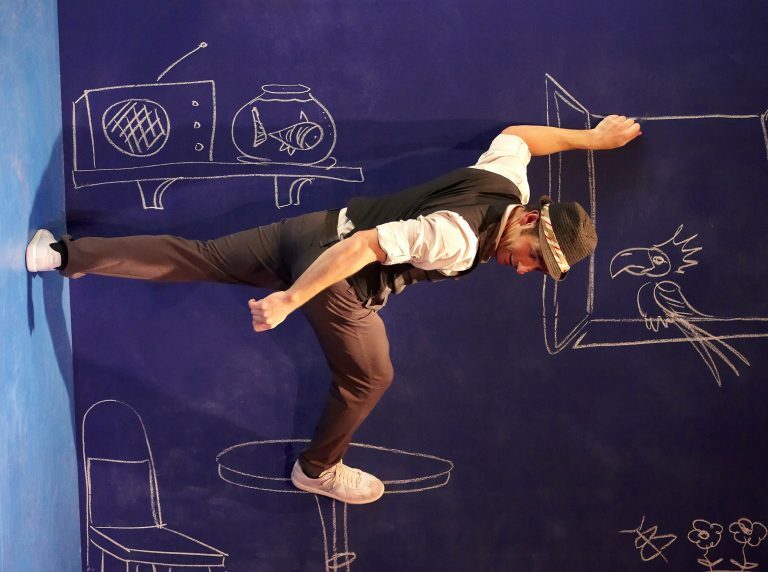 LEO - mind-bending physical theatre! LEO at Festival Internacional Cervantino! We are really proud to announce new tour dates for a momentous France run, which is set to kick-off January 14th at the Théâtre des forges René Carpentier, in Trith Saint Léger. The great tour will make stops at the most renowned French theatres and cultural spaces and will go through the winter until the beginning of March 2018. You can´t miss it! For all the full overview check our calendar. Up next for LEO: Mexico! The Festival Internacional Cervantino (FIC) is the most notable cultural and artistic event in Latin America and one of the most iconic in the world. For more than four decades it has been the most vital forum of expression for traditional and contemporary art. In 2016, for its forty-fourth edition, the FIC will celebrate the most important worldwide homage to Cervantes giving appointment to the most outstanding expressions of theatre, music and dance. We are really glad to be part of such great event! LEO wins another 2 international awards at the Slovak Kremnické Gagy Festival: The “Golden Gander Award” and the “Grand Prix 2015” of the annual festival for humour and satire. Congratulations to the whole team for this great success! Directed by the Montréal actor and director Daniel Brière, and based on an original idea by the multi-talented performer Tobias Wegner, LEO has won several major awards including the Carol Tambor Best of Edinburgh Award, the Three Weeks Editors Award, the Scotsman Fringe First Award at the Edinburgh Fringe Festival and more recently, won the John Chataway Award for Innovation at the 2013 Adelaide Fringe Festival. 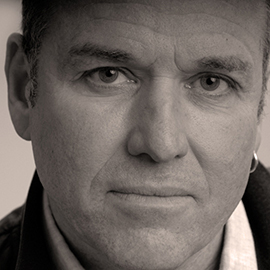 Actor, Director and Playwright, Daniel Brière is a founding member of the Groupement Forestier du Théâtre (Matroni et moi) and associate artistic director of the NTE, where he has performed and created new plays since 2003. 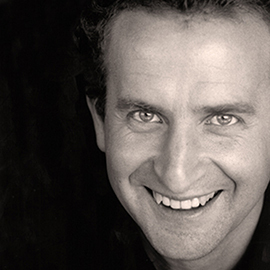 As an actor, he has performed in many theatre productions in Canada since his graduation from the Conservatoire d'art dramatique de Montréal in 1985. On television, he has appeared in many different productions and since 2008 he has been a part of the popular family comedy series on CBC, Les Parent which earned him the Artis award for "Best Actor in a comedy” for 3 consecutive years. On the big screen, his performances include parts in Le déclin de l’empire américain (D. Arcand), La moitié gauche du frigo (Ph. Falardeau), Gaz Bar Blues (L. Bélanger) and C’est pas moi je le jure (Ph. Falardeau), all presented at several international film festivals. He has directed more than twenty plays and stand-up comedy shows and during 2010-2011, he directed the creation of LEO which has been presented around the world and has won many awards. His unique approach to theatrical creation has made him a leader in Quebec's contemporary theatre. Gregg toured extensively all over the world as an onstage performer before turning his focus on production. Since then Gregg has managed, directed and produced a variety of internationally known artists and companies creating, presenting and touring original works internationally. Gregg directed the Operations of the Montreal based Les 7 doigts de la main / the 7 fingers, with whom he was introduced to the Chamaeleon Theatre in Berlin. From 2008 through 2013 he worked continuously with the Berlin theatre and its offshoots creative producing and touring original shows that included SOAP - The Show, myLIFE, VERSUS and LEO. In 2013 Gregg was the Creative Producer of 4 productions for Hapag-Lloyd's 5 star cruise ship MS Europa 2. 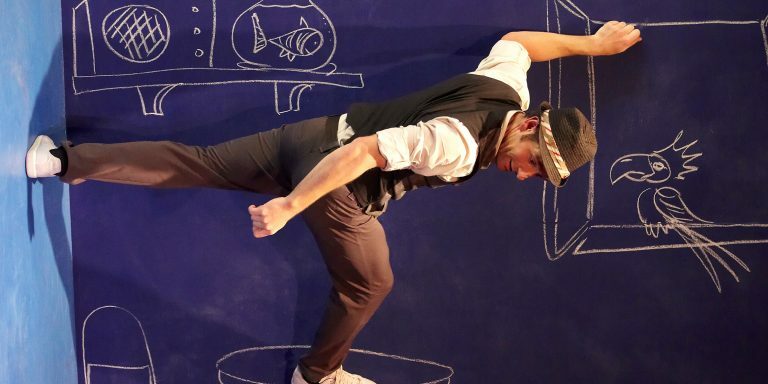 In 2014 Gregg was the Associate Director for Circo Jumbo 2014, an original, full length circus show featuring 41 international artists that was presented to over 500,000 spectators in arenas across Chile, Columbia and Peru. In 2015 Gregg was Creative Producer, and Co-Producer, of the show RUELLE which premiered at the 2015 Montréal Completement Cirque Festival. Concurrently Gregg directs the operations of Y2D Productions Inc., his Montréal based production company which continues to develop original shows and produce and tour LEO internationally. From his early days on Tobias already had strong feelings for circus clowns and the fine comedy of the silent movie era. 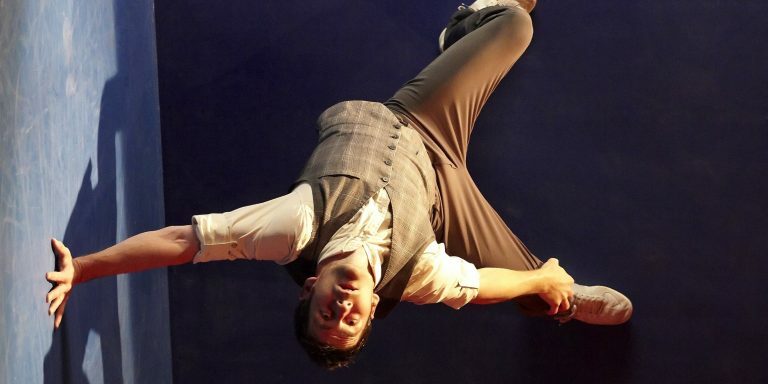 In order to make this passion a profession, he went to study in Brussels at the renowned University for Contemporary Circus Arts – École Supérieure des Arts du Cirque – and graduated in 2003 as a specialist for partner and trampoline acrobatics. 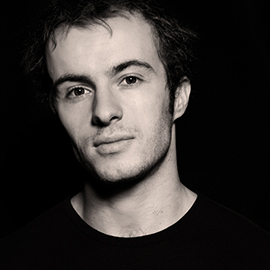 Ever since, he has been working in various projects interweaving the genres of dance, theatre, circus and even opera. In 2010 he started co-creating LEO and launched the show at the 2011 Edinburgh Fringe Festival, where it walked off with three major theatre awards. The accolade of the “Carol Tambor Best of Edinburgh” award took LEO to New York’s Off- Broadway “Theatre Row” for a month-long run. Along with the worldwide success of LEO Tobias has been invited to major theatres and festivals in cities such as Vancouver, Montréal, St. Louis, Miami, Madrid, London, Paris, Avignon, Berlin, Teheran, Harare, Moscow, Okinawa, Taipeh, Adelaide, Melbourne and Auckland. Flavia is a visual artist, a set and lighting designer for theatre, opera and circus whose designs and art have been exhibited and presented around the world. Flavia's design work includes, amongst many others, the light design for the opera TOSCA (Palace of the Fine Arts, Mexico) and the set design for TRACES, a circus based production of les 7 doigts de la main / the 7 fingers (Montréal). 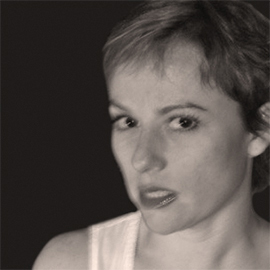 More recently Flavia has worked with Alameda Theatre (Toronto) and Y2D Productions (Montréal). Flavia is currently enrolled in a Master's Program studying Puppetry in Contemporary Theatre at the University of Quebec in Montreal. 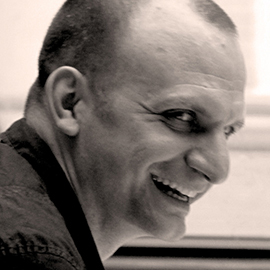 Heiko Kalmbach studied theater in Germany before pursuing film and video at New York University’s Tisch School of the Arts. His films have screened internationally at Festivals like the Berlin International Film Festival, São Paulo Film Festival und CPH:DOX Copenhagen. His work for the stage as a director and video designer has been presented at Drama Fest Mexico, Aarshi Drama Company Kolkata, and Volksbühne Berlin among others. The interactive installation VIVA VOCE, a collaboration with composer Katharina Rosenberger, has been shown at Kleiner Wasserspeicher Berlin after presentations in Los Angeles and San Francisco. Heiko has created exhibition videos and installations for Haus der Kulturen der Welt, Schwules Museum and Deutsches Historisches Museum Berlin. He teaches media design at TU Berlin, and film and dramaturgy at the Architectural Association’s Interprofessional Studio in London (MA/MFA in Spatial Performance and Design). Fellowships include a Filmmaker’s Award by the New York Foundation for the Arts and Artist Residencies at MacDowell Colony and the Camargo Foundation. William, born in Avignon, France, took his first steps in the circus world with the French company Couleurs Mécaniques. He toured throughout Europe with the company for 6 months. Afterwards, he attended the Ècole de Cirque de Lomme near Lille, where he specialised in aerial acrobatics on the aerial straps. 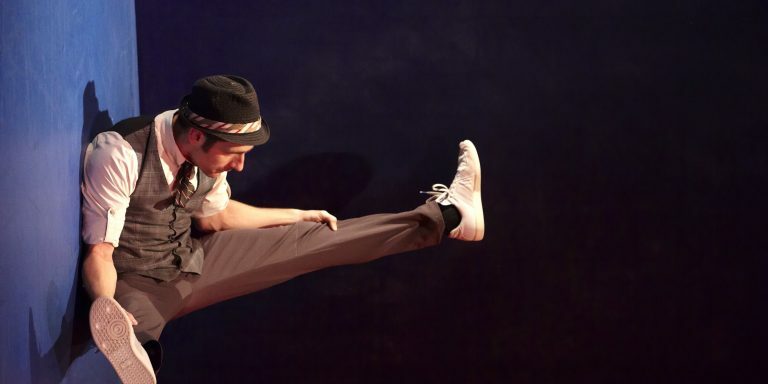 He eventually added various disciplines, such as hand-to-hand acrobatics, hip hop dance, floor acrobatics and clown performance, to his artistic repertoire at the National Circus School in Montréal where he continues to train aspiring circus artists. 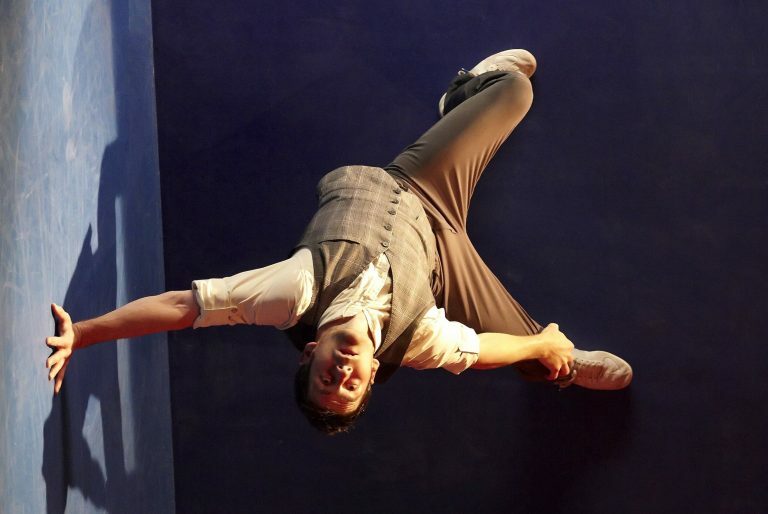 William is a true all-rounder whose skills were seen at the opening of the 30th Festival Mondial de Cirque de Demain in Paris and Montréal, and with many other companies and directors including Circle of Eleven, Franco Dragone and Les 7 doigts de la main / the 7 fingers. Julian is a Berlin native and graduated from the school of the Performing Arts Die Etage. 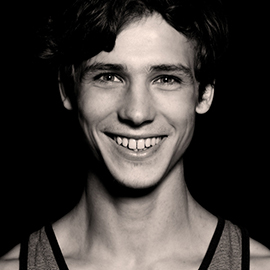 He combines the most diverse acrobatic forms with dance elements and ingenious choreographies in his performances, which has already earned him a part in the ensemble of the Berlin company Die Artistokraten. After completing an intense training phase in Brussels, where he worked together with the choreographer Cruz Mata among others, he joined the ensemble of the Circle of Eleven production VERSUS. 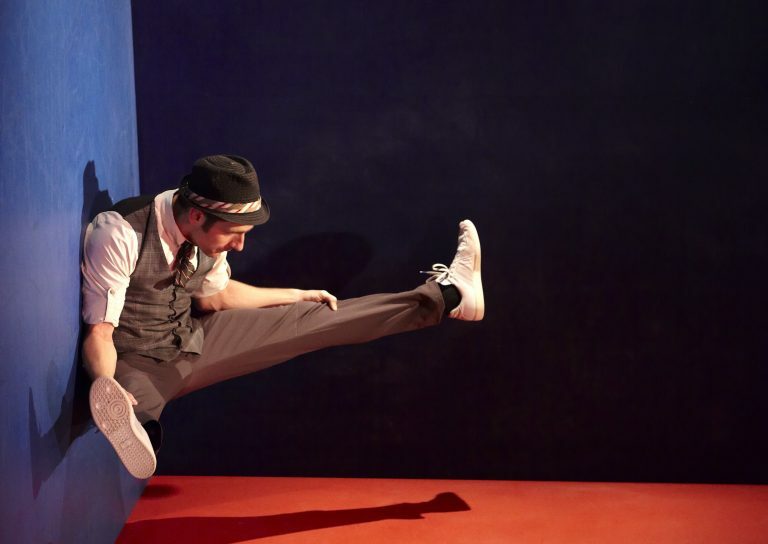 Julian is currently involved in the creation of FILAMENT, a new circus show by Short Round Productions. Théâtre de la Licorne Havre d'Olonne"
Please request a password from mail@chamaeleon-productions.com and click the icon below to enter the download section. are the operators of this website and the services offered thereon, and are therefore responsible for the collection, processing, and use of personal data. When using this website, personal data is processed by us, as the responsible entity for processing data, and stored for the period required to fulfil the specified purposes and legal obligations. Following policy will inform you about which data is concerned, how it is processed, and what rights you have in respect to the processing of the data. Personal data, according to Article 4 No. 1 of the General Data Protection Regulation (GDPR), is all information relating to an identified or identifiable natural person. You can visit our website without having to disclose information about your identity. The browser used on your terminal device merely automatically sends information to the server of our website (e.g. browser type and version, date and time of access) in order to enable a connection to the website. This also includes the IP address of your requesting terminal device. These data are temporarily stored in a so-called log-file and deleted automatically. The IP address is processed for technical and administrative purposes of connection establishment and connection stability, in order to ensure the security and functionality of our website, and to monitor any illegal attacks thereof. The legal basis for processing the IP address is Article 6 par. 1 p. 1 lit. f GDPR. Our legitimate interest stems from the aforementioned security interest and the necessity of providing unobstructed service on our website. We are not able to draw immediate conclusions regarding your identity by processing the IP address and other information in the log-file. We do not collect, store, or process personal data beyond the information described in par 1. The information stored in the cookie results specifically from the terminal device used. However, this does not mean we immediately receive information about your identity. The data processed by cookies is required for the aforementioned purposes of maintaining legitimate interests, ours and those of third parties, in accordance with Article 6 par. 1 p. 1 lit. f GDPR. Most browsers automatically accept cookies. However, you can configure your browser so that cookies are not stored on your computer or that a notification appears before a new cookie is created. However, the complete deactivation of cookies can limit use of our website’s functions. Our online content may include third party content, such as YouTube videos, map material from Google Maps, or graphics from other websites. The assumption is that the providers of this content (hereinafter referred to as “third party providers”) register the IP address of the users, as without the IP address they cannot send the content to the browser of the user concerned. Therefore the IP address is required for the presentation of this content. We strive to only use content the respective providers of which only use the IP address to provide said content. However, we have no influence on the third party providers, for example, storing the IP address for statistical purposes. In cases we become aware of such practices, we will inform the users. The information is used to evaluate the use of the website, to compile reports on website activities, and to provide further services related to website usage and internet usage for market research and the design of these internet sites, as required. Also, if necessary, this information is transferred to third parties, provided that this is required by law or if these third parties process this data on our behalf. In no case will your IP address be combined with other data from Google. The IP addresses are anonymised, so that an association is not possible (IP masking). You can prevent the installation of cookies with the appropriate settings on your browser software. However, we point out that in this case not all the functions of this website can be used fully. Furthermore, you can prevent the data generated by the cookie and related to your use of the website (including your IP address), and the processing of this data by Google by downloading and installing a browser add-on. Alternatively, you can also prevent the processing of data by Google Analytics, especially on mobile terminals, by clicking on this link. This will set an opt-out cookie, which prevents future collection of your data when this website is visited. The opt-out cookie only applies to this browser and only to our website and is stored on your device. If you delete the cookies in this browser, you must re-set the opt-out cookie. For more information on data protection related to Google Analytics, please refer to the help section on Google Analytics. The tracking measures by Google Analytics are based on Article 6 par. 1 p. 1 lit. f GDPR. We want to ensure the appropriate design of our website and the continuous optimization of our website. Secondly, we use Google Analytics to statistically record the use of our website. We also use the data for the optimized playback of advertising content. These interests are to be considered legitimate according to the above-mentioned provision. We employ appropriate technical and organisational security measures to protect your stored data against accidental or deliberate manipulation, partial or complete loss, destruction, or the unauthorized access by third parties. Our security measures are continuously improved based on technological developments. according to Article 77 of GDPR, to complain to a supervisory authority. As a rule, you can contact the supervisory authority of your usual residence or work place or of our company’s seat. You have the right to oppose the processing of personal data relating to you, at any time, based on Article 6 par. 1(e) of GDPR (data processing in the public interest) and Article 6 par. 1 (f) of GDPR (data processing based on a balance of interest); this also applies to profiling based on provisions of Article 4 No. 4 GDPR. If you enter an objection, we will no longer process your personal data unless we can demonstrate compelling, reasons worthy of protection for processing that outweigh your interests, rights, and freedoms, or the processing serves the purpose of asserting, exercising, or defending of rights. If you want to use your right of objection, an e-mail to mail@chamaeleon-productions.com will suffice. This data protection information is currently valid and was last updated May 2018. With the further development of our website and the content or due to changes to legal or administrative specifications, it may become necessary to change this data protection information. The current data protection information can be retrieved and printed out at any time on our website at www.chamaeleon-productions.com.